Here is a way to use your succulents that may not have occurred to you. 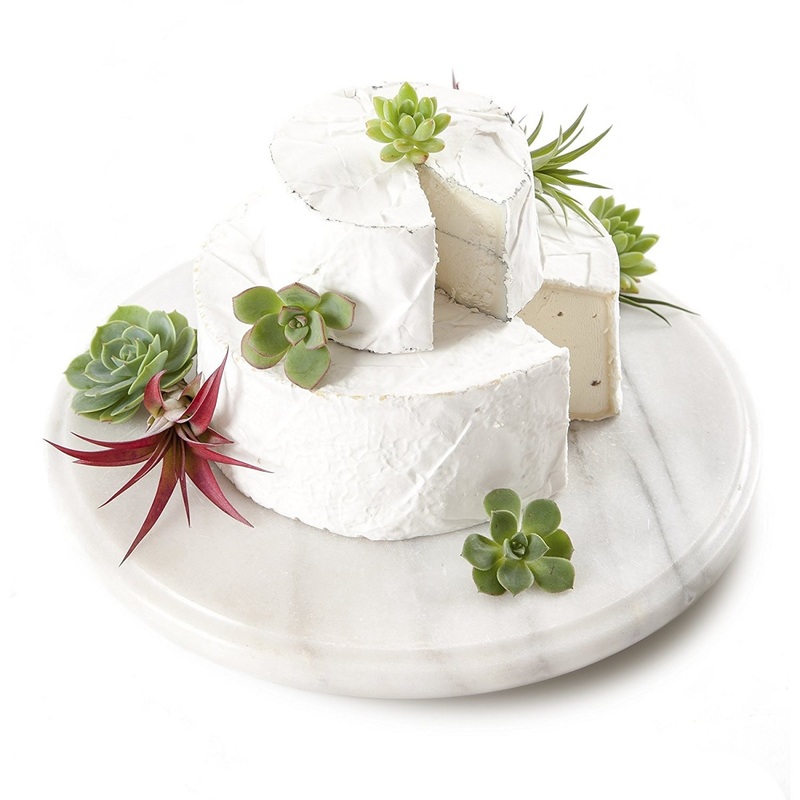 This "cake" of cheese is garnished with assorted succulents. It makes the list as one of Oprah's Favorites for 2016 and you can order yours from Amazon.com. Check it out! Of course, you can always create your own culinary delight and garnish it with your favorite succulents. It is a gift that keeps on giving after the "cake" is gone, as the succulents can be propagated and planted. Nisaku Hori Hori Handle Changes – Is Your Digging Knife Authentic? The Nisaku No. 650 Hori Hori handle has gone through a couple of changes over the last year. The original version was made from Tamo wood and had a strong grain pattern (top image). 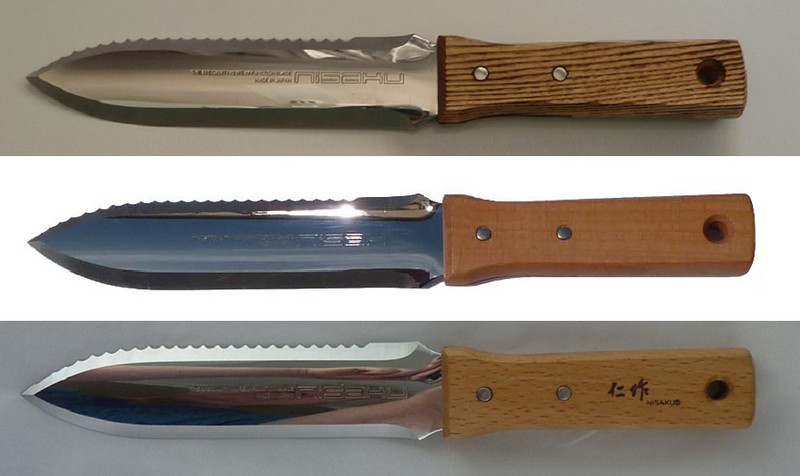 In January 2015, the handle of these digging knives was changed to a finer grain wood (middle image). In October 2015, Nisaku added their brand stamp to the handle (bottom image). During 2015, hori hori knives became much more popular and factories in China and other countries started producing cheap copies. To make it easier for shoppers to distinguish the higher quality, authentic Japanese-made hori horis, Nisaku added their brand on the handle. While the earlier models remain in inventory at Amazon.com and other stores, you may receive any one of these versions, when you purchase a Nisaku Hori Hori. The Mimosa Pudica has a physical reaction to touch, which makes it especially interesting to children. 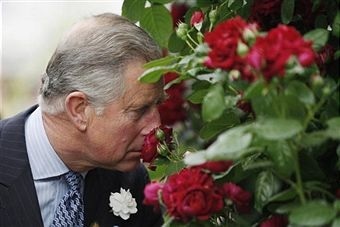 The rapid wilting reaction has inspired other nicknames such as shy plant, sensitive plant, or sleepy plant. Within minutes the plant will return to its former condition. Watch the video to see the Touch-me-not plant's reactions to being touched, bumped, hit, as well as time lapse videography of the plant standing back up. You can see six more of the world's strangest flowers, in the Sierra Club blog post: Rafflesia arnoldii, Eastern Skunk Cabbage, Hydnora africana, Amorphophallus titanum, Tacca chantrieri and Dracunculus vulgaris. Whatever you do, do not plant mint directly in your garden bed. It sends out runners (stolons) just under the surface of the ground to spread and it will take over your garden. 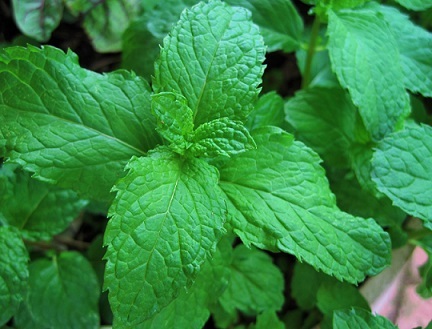 It is delightful to pick your own fresh mint from the garden, just plant it in a pot to isolate it. You can keep mint from overrunning your garden by sinking a bottomless pot (at least 15 inches deep) in the ground. The top of the pot should extend two inches above the soil. You can also grow your mint in containers above the ground. MB HANA's Garden Scissors are perfect for harvesting fresh mint and our Mini Hori Hori is just right for container gardening. 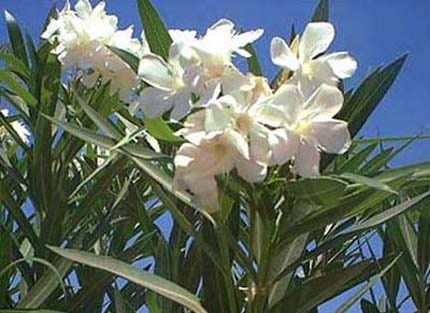 Oleander is one of the most poisonous commonly grown garden plants. It is toxic for mammals, so don’t eat any parts of the plant and don’t let your pets or farm animals eat it. Oleander was selected as the official flower of Hiroshima, Japan because it was the first to bloom after the atomic bombing in 1945. This evergreen shrub will tolerate drought, poor soil and light frost. It is native to Mediterranean climates around the world. Oleander can grow to a height of 12 feet and is used extensively in freeway medians in California and Texas. The fragrant flowers bloom from summer through fall and are suitable for lei making. Colors seen most frequently for wild plants are white and shades from pink to red. If you are looking for a large, low maintenance shrub for your water-wise landscape, consider planting oleander. Go Ahead And Talk To Your Plants – It Helps! It doesn’t seem to matter whether you praise or curse plants or just play music. Studies show that plant growth is affected by sound vibrations. While the studies are not scientifically conclusive, numerous experiments cited in this DenGarden article confirm that plants do respond to sound. So go ahead and talk to your plants, or play music for them. Both you and your plants will benefit. If the plants start talking back to you, then you may have a problem.